Trauti and David Reynolds have volunteered for many years at Tasmanian parks and reserves, participating in working bees and in care-taking roles. They have served as volunteer caretakers on Maria Island, Schouten Island, Tasman Island and Deal Island. 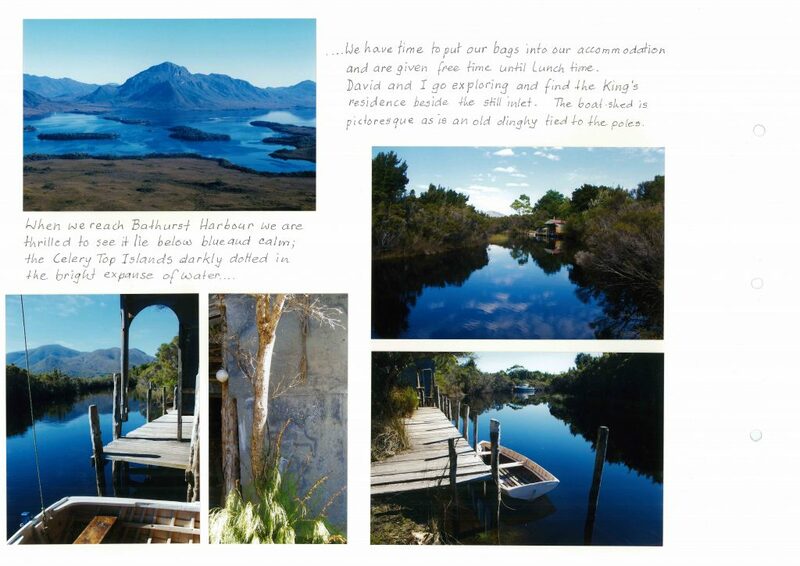 During this time, Trauti has crafted hand-made journals containing photographs, drawings and text depicting the work undertaken by, and camaraderie between the Parks and Wildlife volunteers over various sites around Tasmania, including Flinders Island, Freycinet and Schouten Island, Melaleuca, and Woodvine Nature Reserve. NS5575/2/3 , Melaleuca Album 1, p. 4. Photographers Trauti and David Reynolds, 2011. TAHO. 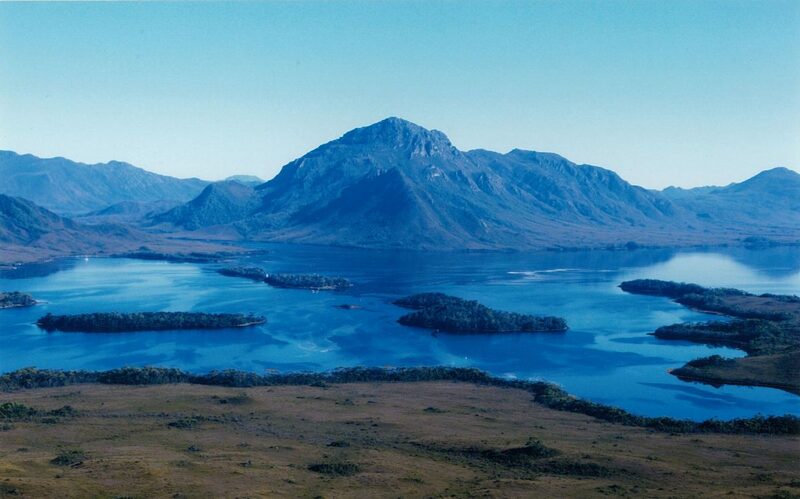 These include stunning photographs and poetic reflections on interactions with Tasmania’s wilderness, history, and people – and they have all been donated to the State Library and Archives Service and made freely available to the public. Inside Cover to NS5575/2/5, Woodvine Album I. Photographers: Trauti and David Reynolds. TAHO. These albums are full of treasures – like the first of the Woodvine albums (NS5575/2/5, from 2003-2012). 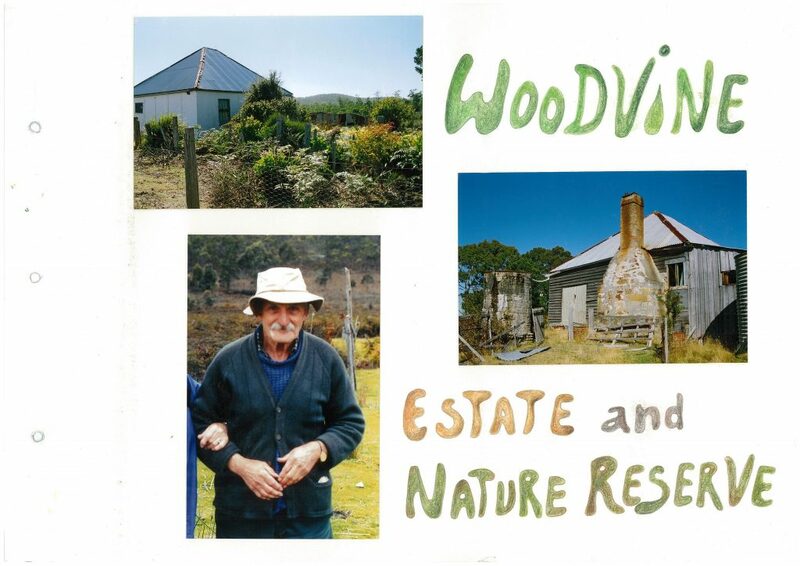 Herbert Ernest Shaw donated his family property ‘Woodvine’ (near Forcett) to the Crown in 1998, and Woodvine Nature Reserve was proclaimed in 2001. After Ernie left in 2003 due to ill health, volunteers began the work of conserving the buildings and managing the land. David and Trauti were there, documenting the process, as well as the tiny meaningful details of this generous man’s life. They described life in his 1902-era house, including the singular experience of cooking with an umbrella over your head while using the outdoor oven! There are layers of history embedded in these wonderful books, with their photographs of family archives and their documentation of the volunteer efforts to stabilize and restore the buildings. Luckily, a neighbour saved the buildings during the 2013 bushfires. The Schouten Island Album (NS5575/2/2, from 2005) contains beautiful illustrations of the very invasive weeds that a corps of volunteers (of all ages!) set out to eradicate. Other side projects, like the conservation of historic buildings, are joined up with reflections on the island’s past and explorations of its natural beauty. 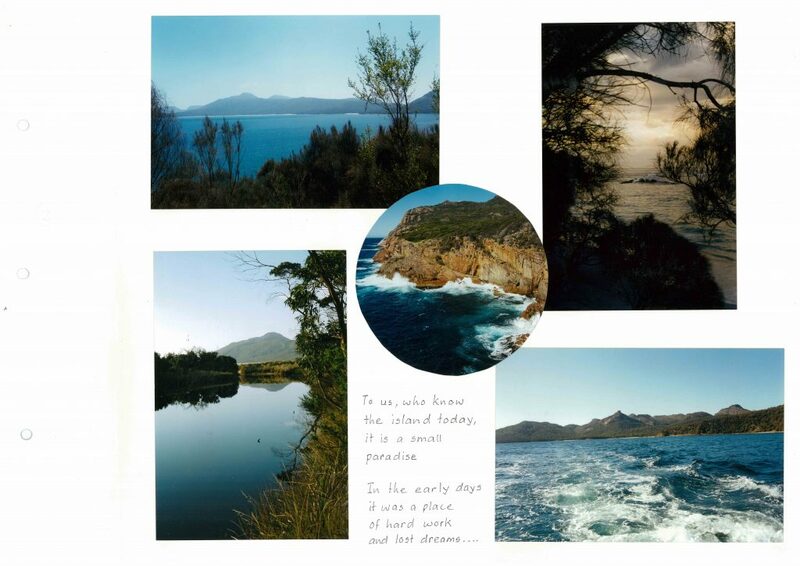 There are many more treasures and compelling stories in these wonderful albums, which provide a window onto life on Tasmania’s wild places and islands – the slow pace, the moments of reflection, the appreciation of beauty and the pleasures of both solitude and community. Thanks to Trauti and David’s kindness – by volunteering in the first place, and then by donating their albums to TAHO – we can all enjoy these albums now and for generations to come. As a special note, we’d like to take this opportunity to thank all of our wonderful library and archives volunteers for all that they do. This devoted group of folks spend hundreds of hours entering data into the Tasmanian Names Index, assisting with Family History enquiries, cataloguing records, and much more. Our work depends on their work, and we are so grateful to you all! You can now join us online with our new Digital Volunteering initiative, DigVol. Have a look at our projects, and see what takes your fancy!